Throughout the season we meet every Wednesday and Saturday at 11.30am. 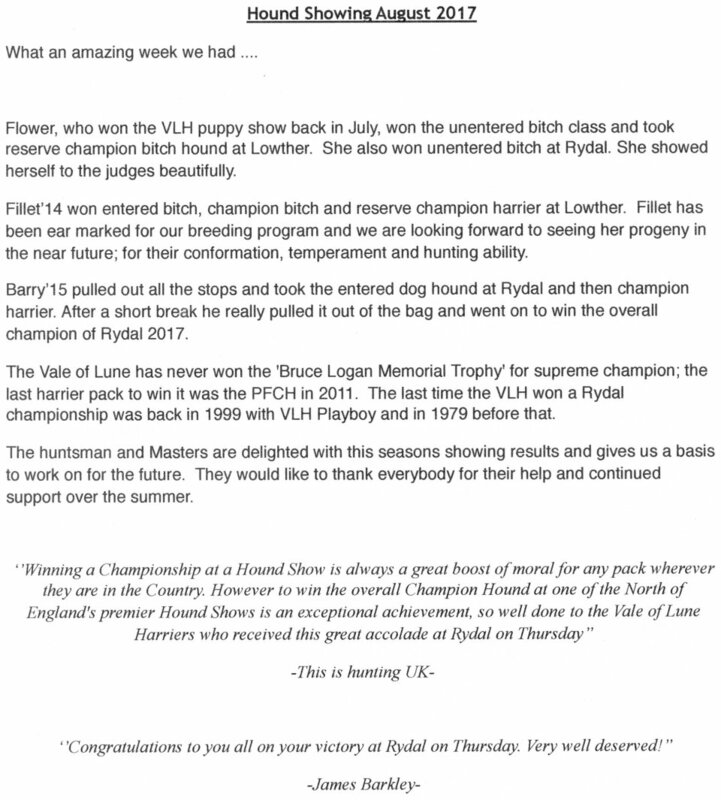 The Vale of Lune Hunt issue hunt cards to all Members, Subscribers and Farmers. Please ring the Hotline to verify that the meet is as per the hunt meet card. Hotline Number: Mel Brooke, MH on 07445 547970. Meets are subject to change due to stock movements or inclement weather. We strongly recommend that all followers take up a membership with the Countryside Alliance! Please contact our Secretary Julia Tissington if you would like more information regarding our meets. (Contact details can be found on our front page).